Even though I can't control the weather, I can control the TV! And nothing makes me happier than curling up to watch Christmas movies and shows with a festive drink. Mulled wine, hot chocolate, spiked apple cider--all delicious--but, right now, my favorite festive drink is chilled and sparkling. The drink is named after my favorite episode of my favorite snow-filled show. It's perfect for Hanukkah parties, Christmas parties, New Years parties, basically ALL PARTIES. 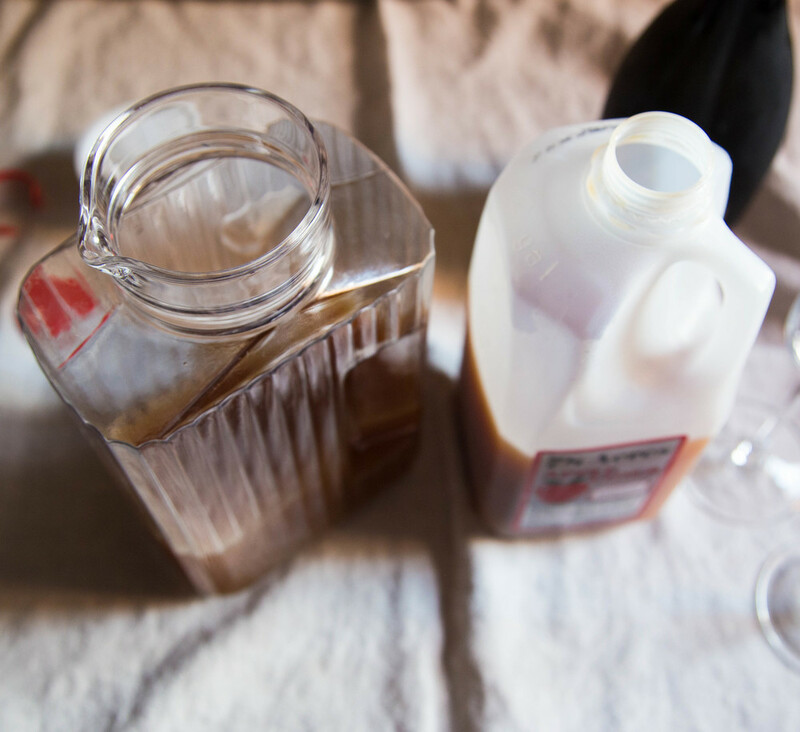 You can make the bourbon apple cider part in advance and then just pop the prosecco when guests arrive. 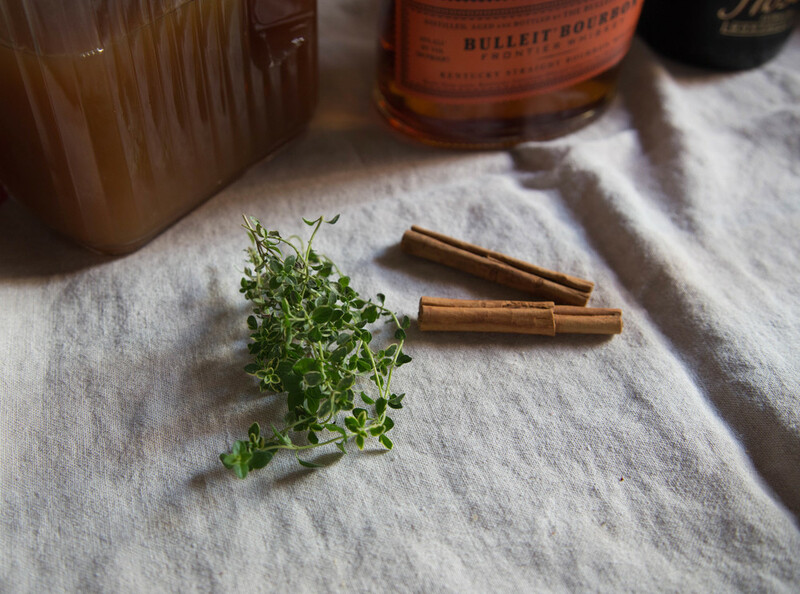 Mix the apple cider, bourbon, cinnamon sticks, and lemon thyme in a jug. Chill or add ice to chill. 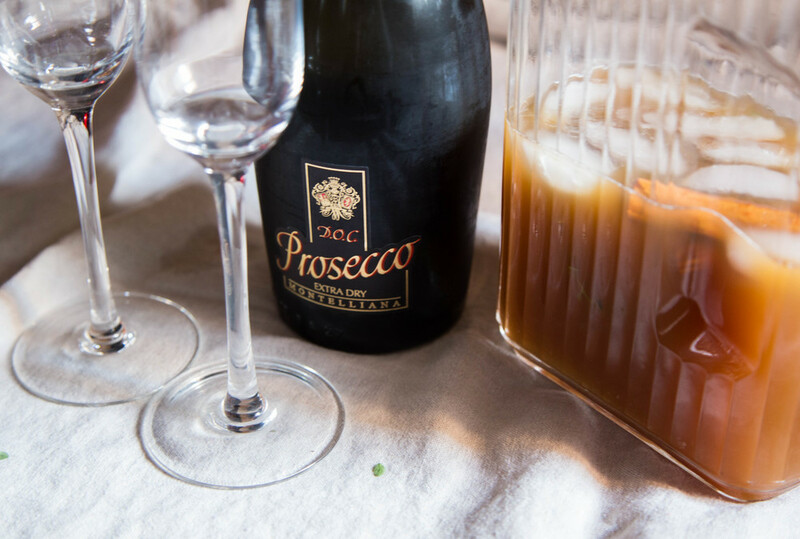 Pour about an inch of the mixture in a champagne glass and top off with prosecco (it'll be fizzy, so go slow). Garnish with cranberries. Lorelei, it's Max. Medina. Maaax Medina.